HOUSTON – Jan. 17, 2019 — A same-day procedural therapy to improve glucose control for Type 2 diabetes patients will be investigated in a pilot study at The University of Texas Health Science Center at Houston (UTHealth). Absalon D. Gutierrez, MD, and Nirav C. Thosani, MD, are among the first physician-researchers in the country to assess the safety and effectiveness of The Revita™ System, designed to help improve blood sugar levels without the need for additional medications. “Recent studies on bariatric surgery have shown that prevention of nutrient contact with the duodenal mucosal surface results in a prompt and sustained insulin sensitizing effect, and DMR is designed to mimic that metabolic benefit,” said Gutierrez, the Houston principal investigator and assistant professor in the Division of Endocrinology, Diabetes and Metabolism at McGovern Medical School at UTHealth. “Modifying the duodenal mucosa has the potential to alter the body’s ability to respond to sugar and restore metabolic health by targeting insulin resistance, a condition in which muscle, liver, and fat cells do not use insulin well,” Gutierrez said. Established in 1972 by The University of Texas System Board of Regents, The University of Texas Health Science Center at Houston (UTHealth) is Houston’s Health University and Texas’ resource for health care education, innovation, scientific discovery and excellence in patient care. The most comprehensive academic health center in the UT System and the U.S. Gulf Coast region, UTHealth is home to Jane and Robert Cizik School of Nursing, John P. and Kathrine G. McGovern Medical School, and schools of biomedical informatics, biomedical sciences, dentistry, and public health. UTHealth includes The University of Texas Harris County Psychiatric Center, as well as the growing clinical practices UT Physicians, UT Dentists, and UT Health Services. The university’s primary teaching hospitals are Memorial Hermann-Texas Medical Center, Children’s Memorial Hermann Hospital and Harris Health Lyndon B. Johnson Hospital. For more information, visit http://www.uth.edu. Fractyl Laboratories is a private medical technology company based in Lexington, Mass. 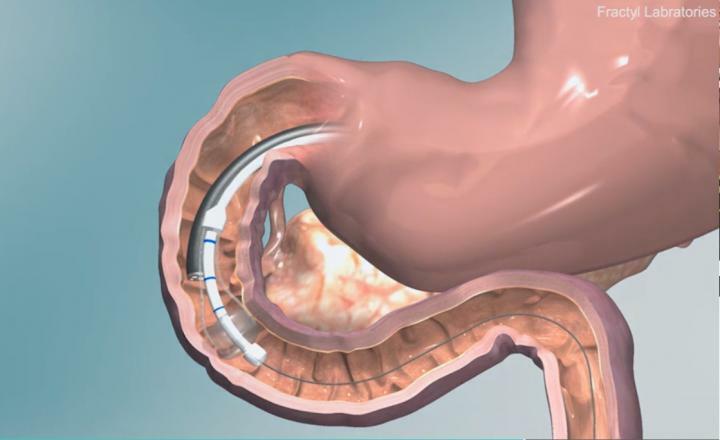 Fractyl is developing Revita DMR, a same-day, minimally invasive procedure to treat two highly prevalent metabolic diseases: type 2 diabetes and NAFLD/NASH. The Revita DMR procedure harnesses breakthrough insights in the role of the duodenum in causing insulin resistance and metabolic diseases. Fractyl’s approach aims to improve the health of patients with metabolic diseases with device-based interventions for patients and healthcare systems. The Revita DMR System received a CE mark in the European Union in April 2016. It has been approved for investigational use by the Food and Drug Administration in the U.S. The Revita DMR System may be available for investigational use in other regions. For more information, visit http://www.fractyl.com or http://www.twitter.com/FractylLabs, or http://www.RevitaTrial.com.